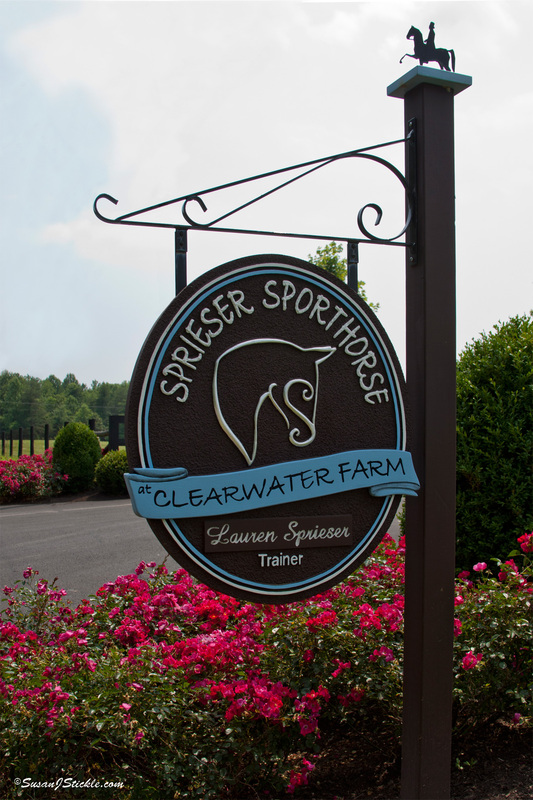 Sprieser Sporthorse, located at Clearwater Farm in Northern Virginia, spans over 135 acres of rolling hills – much of which is available for hacking. 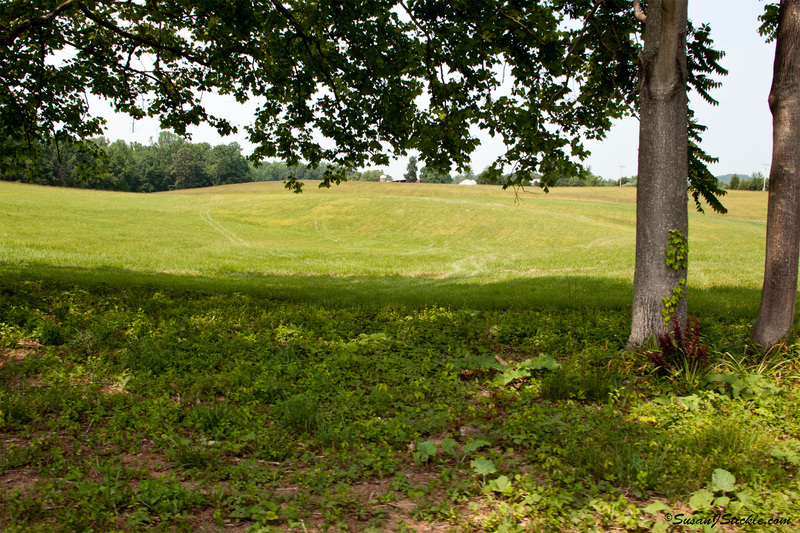 Paths are available for riding over open grassy hills, through woods and along South Run, a tributary of the Rappahannock River. Rolling hills aid conditioning and muscling for all types of equine athletes. 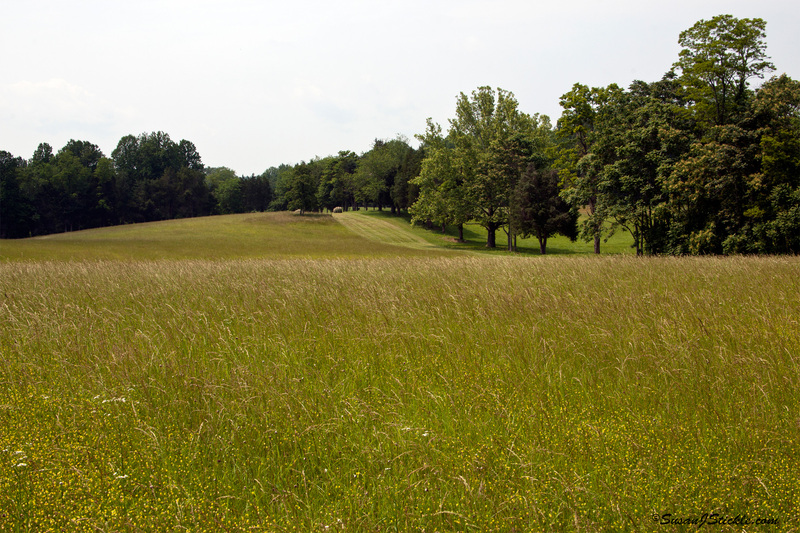 Our rolling hills are perfect for cross country training. 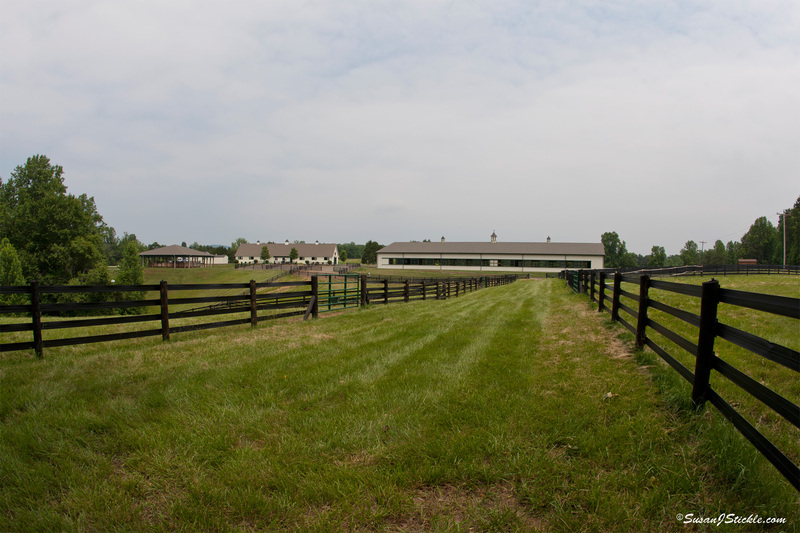 Multiple bridle paths wind throughout the property. 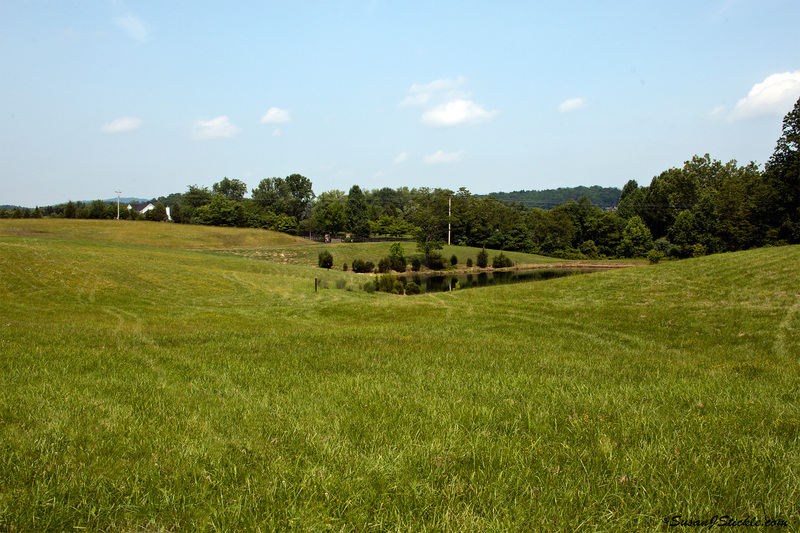 Safely-sized private paddocks, rotated and maintained regularly. Our stall barn is built of concrete cinder block so it is cooler in summer and warmer in winter. Our stalls are 12 X 14 feet and each has a window to the outside as well as grated fronts to the center aisle to ensure good airflow at the floor level for healthier respiration. Several stalls offer runouts to private paddocks. All buildings are equipped with a highly visible video-based security system for your horse’s protection. 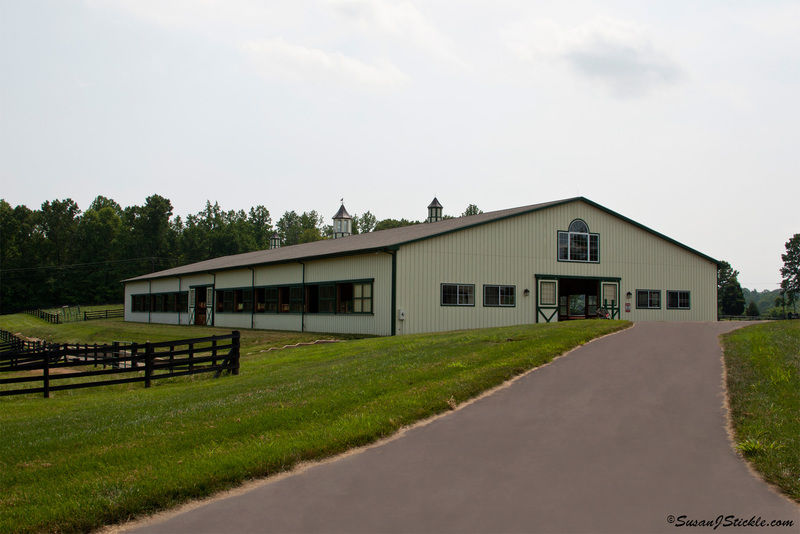 The entire barn has no-slip Polylast flooring, with three grooming bays to keep the 11’ aisles clear. Our two wash stalls offer hot and cold water, with blowers for drying your horse in cold weather. 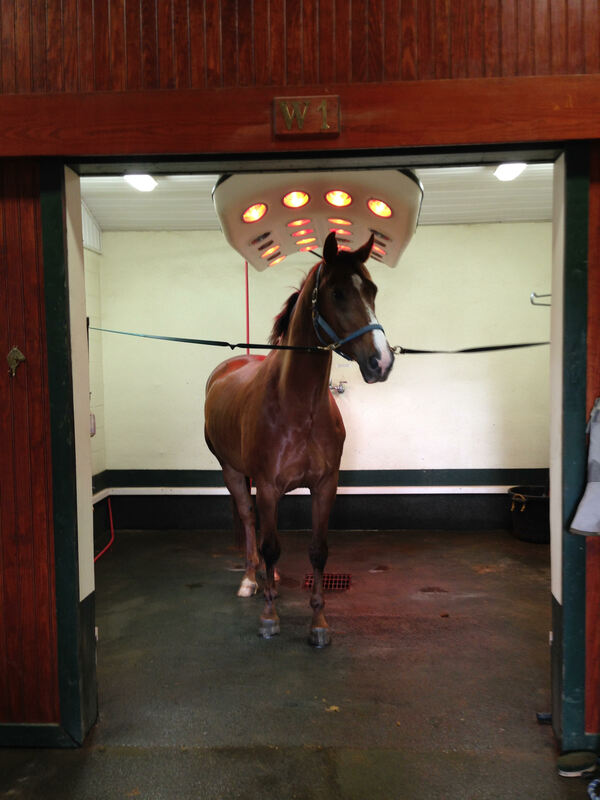 As high-performance athletes, our full-training client horses have access to our infra-red solarium from Sport Innovations, which increases circulation, reduces inflammation and bolsters the immune system. It’s fantastic for pre- or post-ride muscle therapy. We also offer an electromagnetic blanket, both at home and at shows. For injury prevention and treatment, we utilize Ice Horse systems. 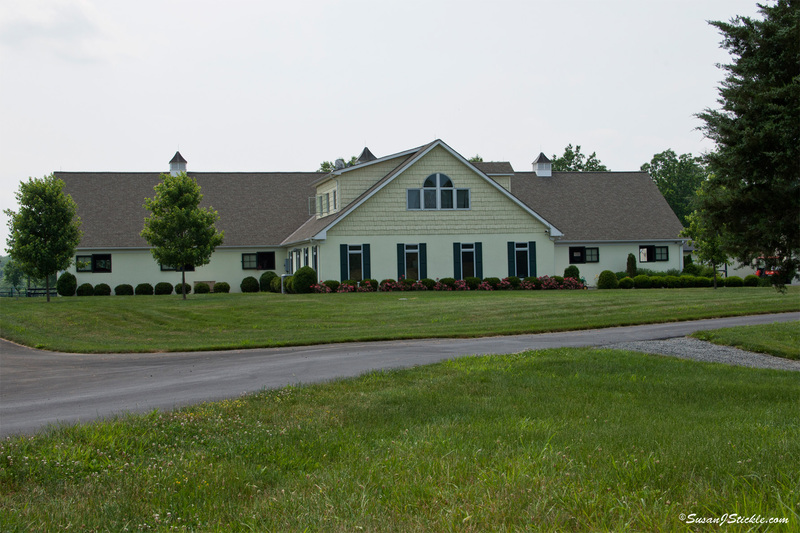 We have a full private tack room, feed room, a rider lounge and private bathroom with shower, and utility room with washer and dryer for saddle pads, polo wraps, etc. Extra-large paved parking area convenient to the stall barn, and a circular road, which allows horse trailers to turn around without having to back up. 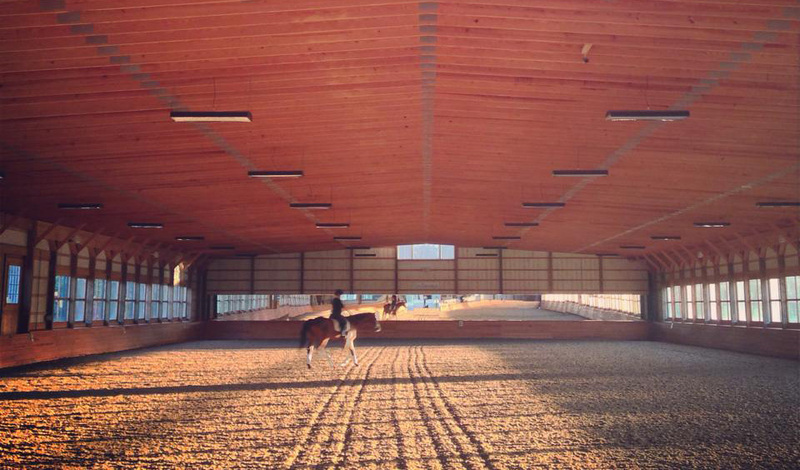 The indoor arena built in 2007 is 90 feet wide and 226 feet long with state-of-the art AEST Terra 2000 dust-free footing which provides appropriate cushioning for your horse’s legs as well as clean dust-free air for everyone’s lungs. 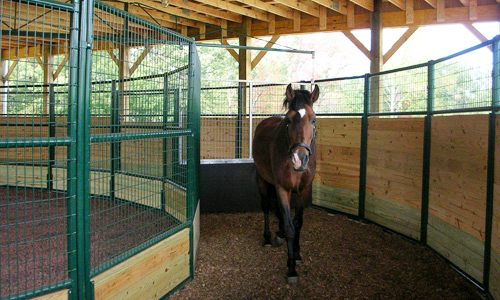 Exits at each end of the stall barn offer convenient access to both indoor and outdoor arenas, as well as access to the full farm property for hacking. Temperate, ventilated, secure home barn. Our lush paddocks and fields are rotated and managed to best practices. All buildings have a video-based security system for your horse’s protection. Light, sound, mirrors... and superb dust-free footing. 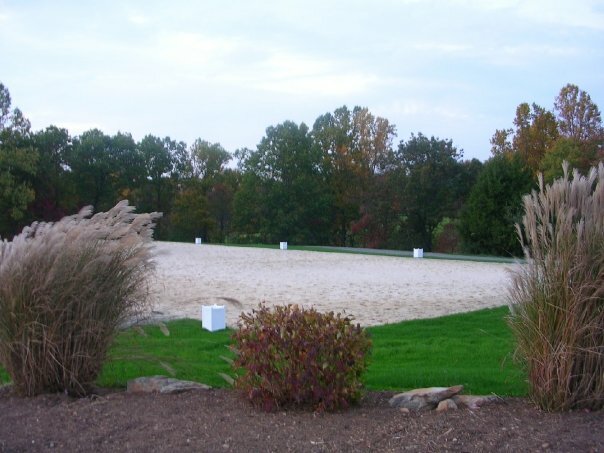 Beautifully landscaped outdoor dressage arena. Dressage arena markers with decorative flowers help our horses get used to distractions in the ring. A state-of-the-art sound system, Lexan windows to provide lighting and circulation, mirrors on the short side, a separate mounting area and a heated viewing gallery make our arena one of the best in the area! All boarded horses are provided with private turnout in our paddocks, which are rotated on a regular basis to ensure fresh abundant grass, plus mowed and harrowed to promote a healthy pasture. 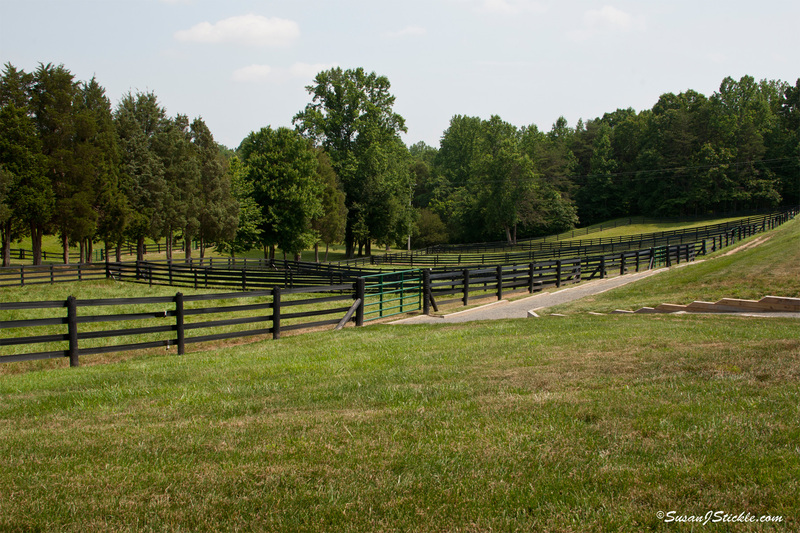 All paddocks are appropriately sized to allow for adequate exercise for the horses but not unsafe running conditions. Horses are kept separated from each other by electrified fencing and also at a safe distance from the outdoor riding arena for the safety of our riders. All grass paddocks feature self-draining BarBarA automatic waterers to assure plenty of cool water free of any algae or bacteria build-up. Our Centaur Equineciser is a great alternative for young or out of shape horses, and for all during poor weather. Heat therapy is available to our horses at any time. 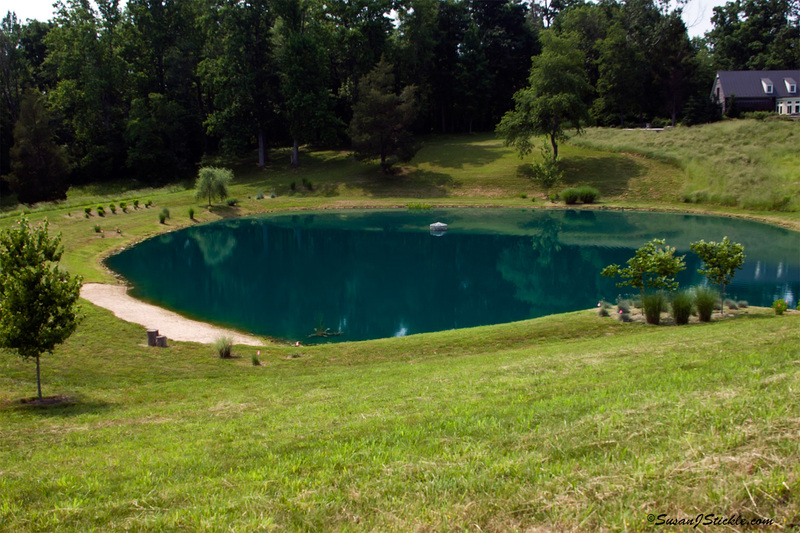 Our pond is available to use for training in the warmer months. 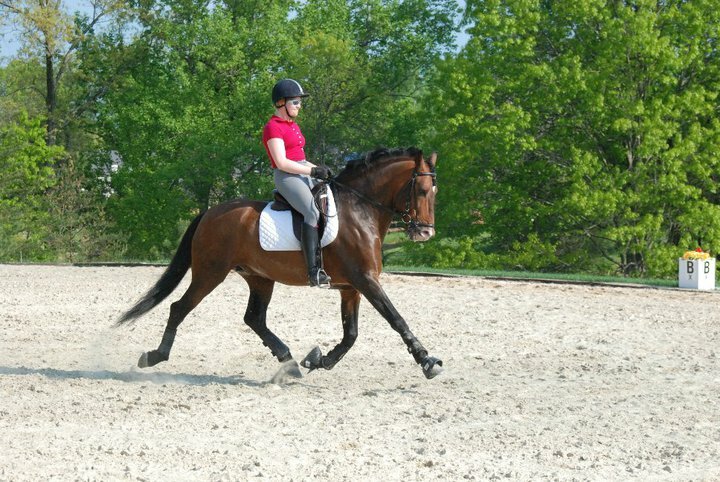 To improve fitness, we offer a 4-horse exerciser from Centaur Equinecisers. This exceptional machine allows horses to walk, trot and canter in both directions, with or without a surcingle and reins, to develop the musculoskeletal and cardiovascular systems in young and out-of-shape horses without overexertion, as well as improving condition of working horses. The exerciser also offers us an alternative to turnout during inclement weather. Additionally, our rolling hills are perfect for cross country training, with multiple bridle paths available, plus the pond for training in the warmer months.